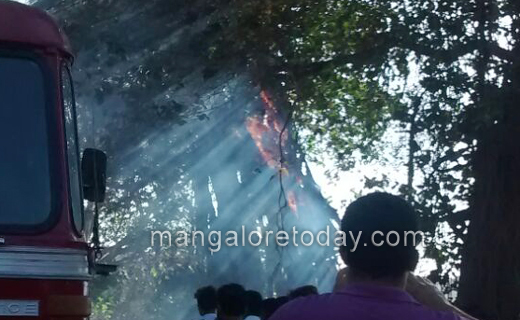 Mangalore, 12 March 2017: In a freak incident a huge roadside tree caught fire causing temporary hardship to users of highway connecting Mangalore with Moodabidri. 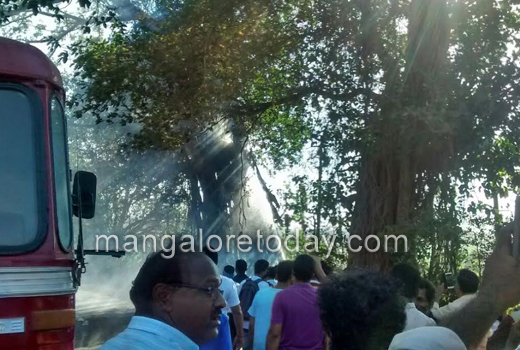 The incident occurred at the approach point to Gurupur river bridge near Gurupur town. 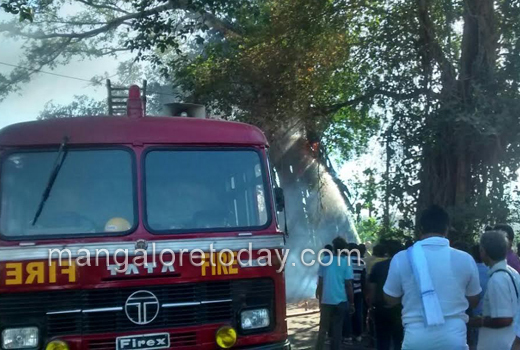 According to an eye witness a small fire was seen near the tree at about noon and the same burst into a huge fire later in the day. 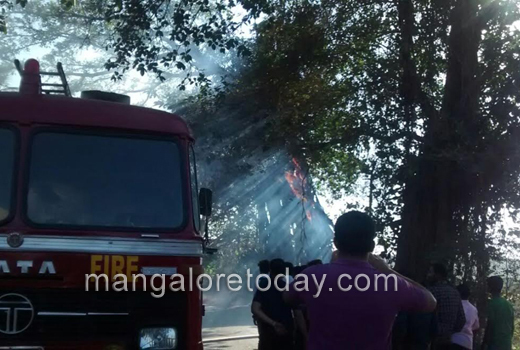 The fire spread across the entire tree causing a severe impediment for the road users. Huge flames leapt onto the road posing danger to vehicles and passengers. Smoke billowing from the burning tree obstructed visibility also. Finally someone though of calling in the fire service and the fire was put out by the fire personnel at about 4:30 p.m.